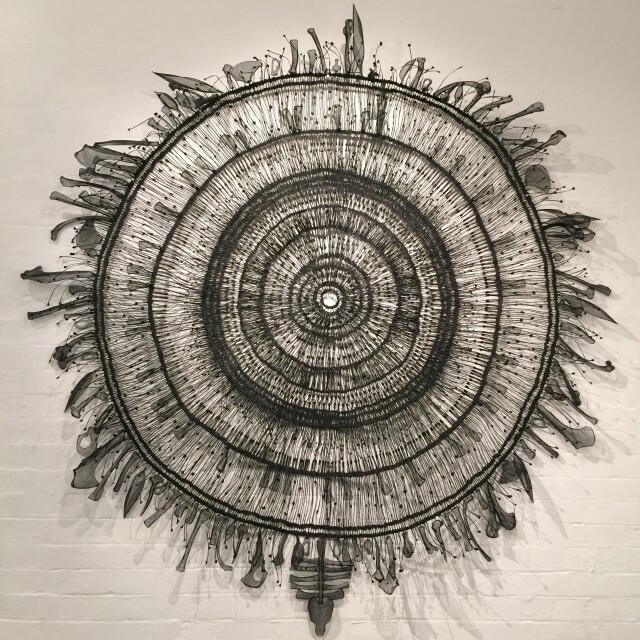 The works of 116 Victorian craftspeople in the framework of the Victorian Craft Award are currently being exhibited across 4 venues in Melbourne. 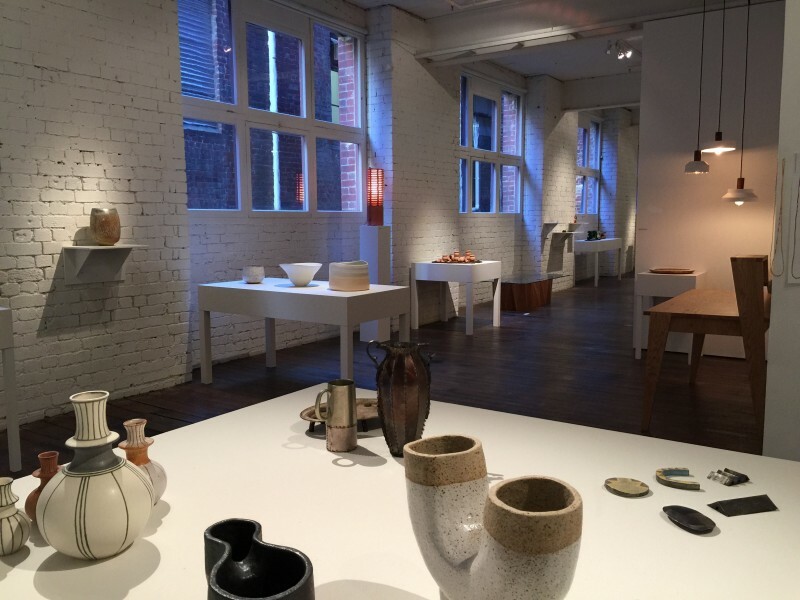 This biennal event organised by Craft Victoria, aims at celebrating emerging, mid-career and established craftspeople across the state of Victoria, Australia. Prizes have already been awarded by a professional jury but this week, the People’s Choice Award will be granted. 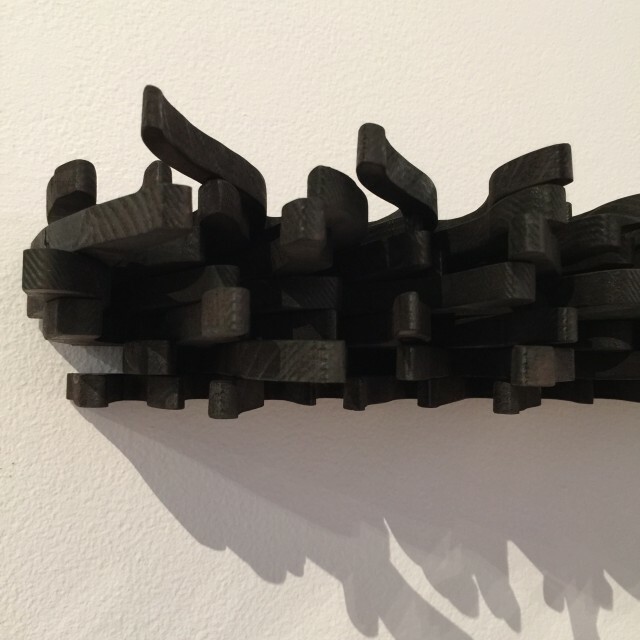 If you’re currently in Melbourne and have some “bleisure” time to spend, I highly recommend these exhibitions (open until the 15th of August) that will introduce you to the creative scene of the city and its surroundings. There are really some stunning works. This is my selection of 15 craftsmen/women, classified according to my own totally partial criteria. 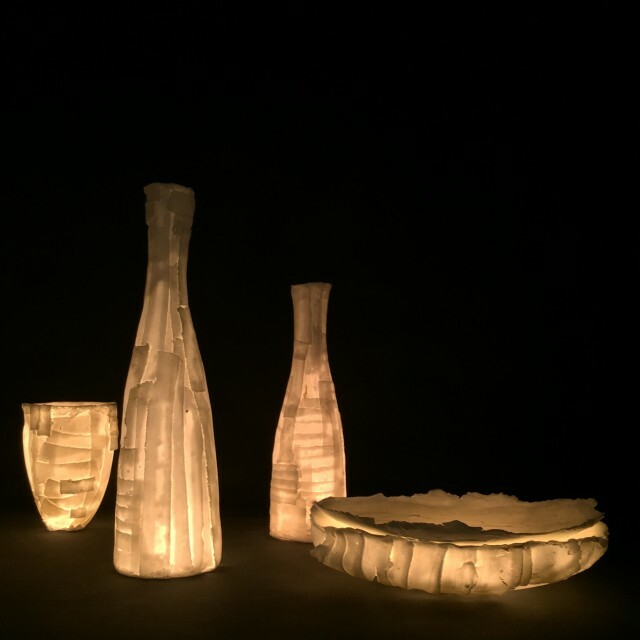 Wendy Jagger‘s Grevillae Victoriae is an exquisite translucent porcelain work. 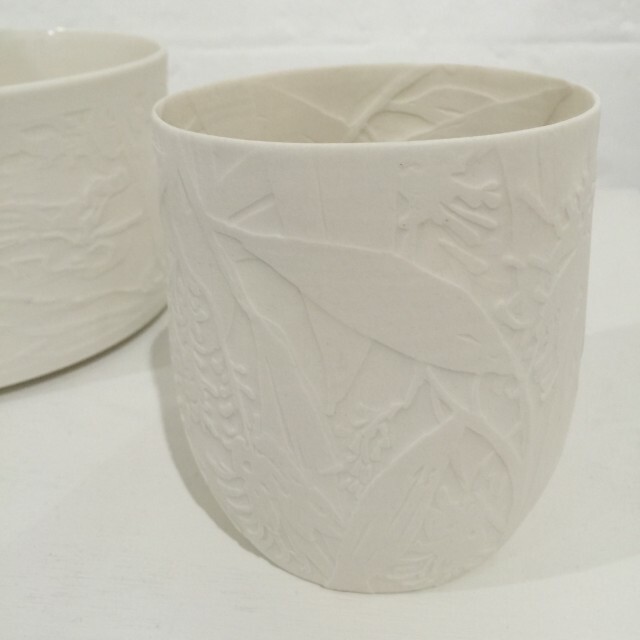 All her works are strongly influenced by the landscapes and flora of her homeland of North Eastern Victoria. 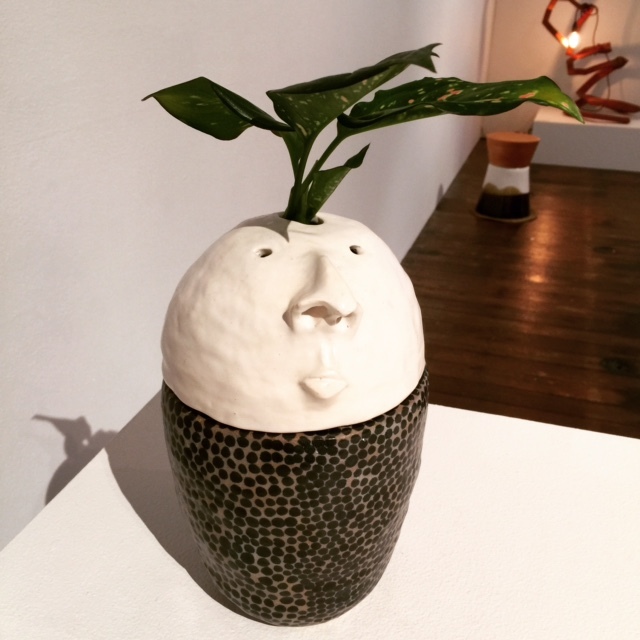 Amy Kennedy presented one of her “sculpture” made of assembled fine paper-thin leaves of glaze material. 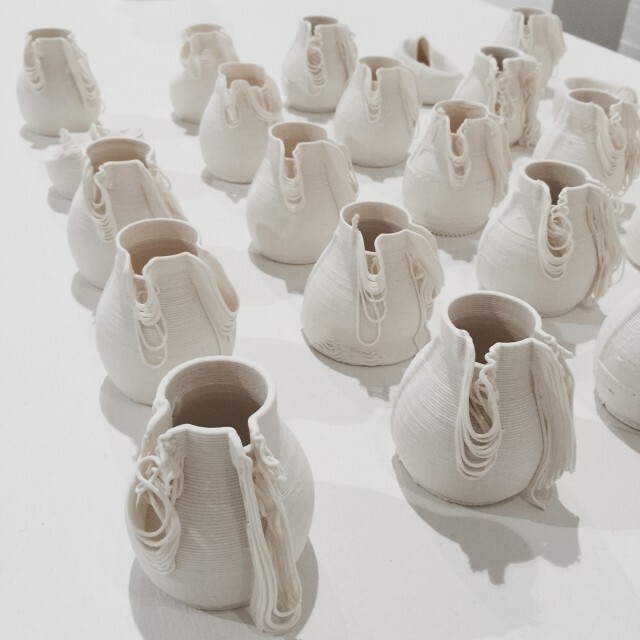 For The Honoured Guest, Kris Coad was inspired by the Buddhist tradition of placing 7 small vessels on a shrine. It’s made of very fine transluscent China. I was fascinated by David Herbert‘s “green title”. 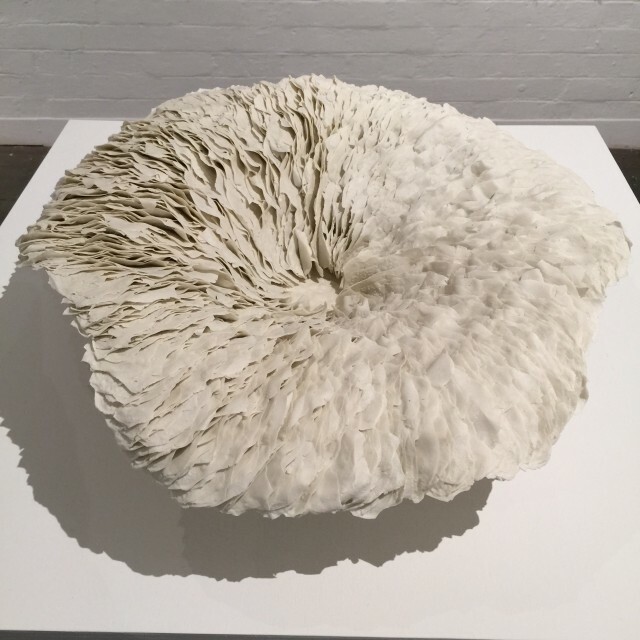 This artist is particularly interested by upcycling and Polystyrene, which he transforms into stunning objects by recording the form and texture of the material into crystal. Emma Davies, Dot to Dot. 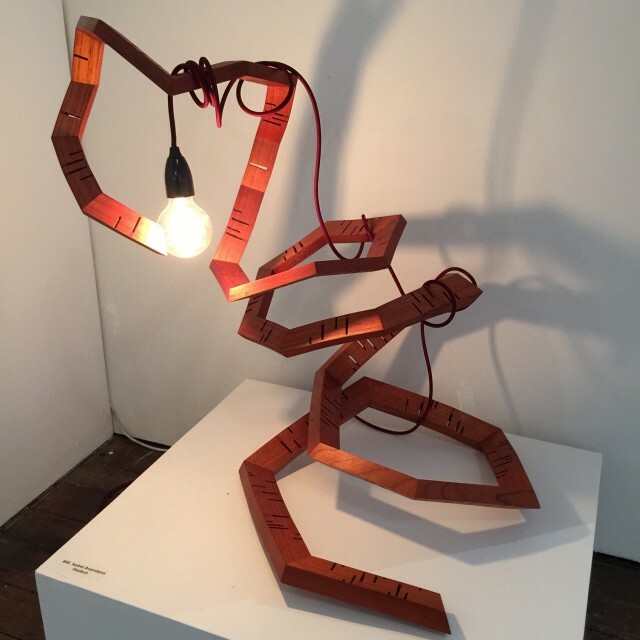 This artist uses contemporary materials like polypropylene together with unconventional methods to push the boundaries of her works. 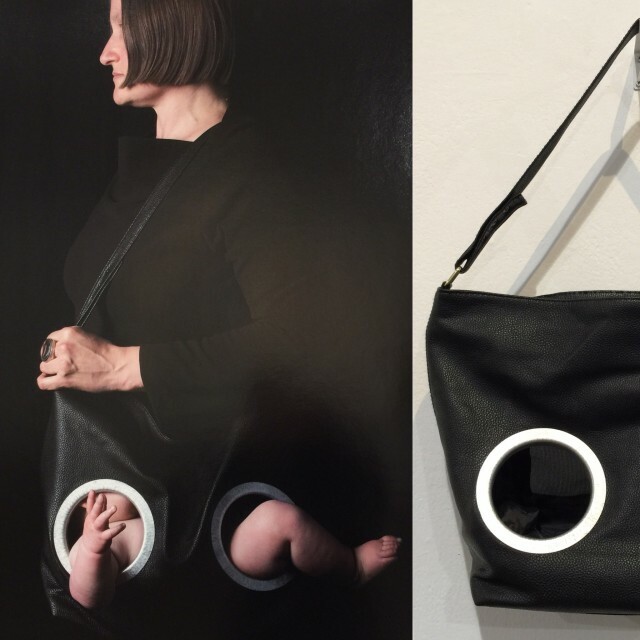 When craft meets technology: Lucile Sciallano chose to use 3D printing for her work One of a Kind. 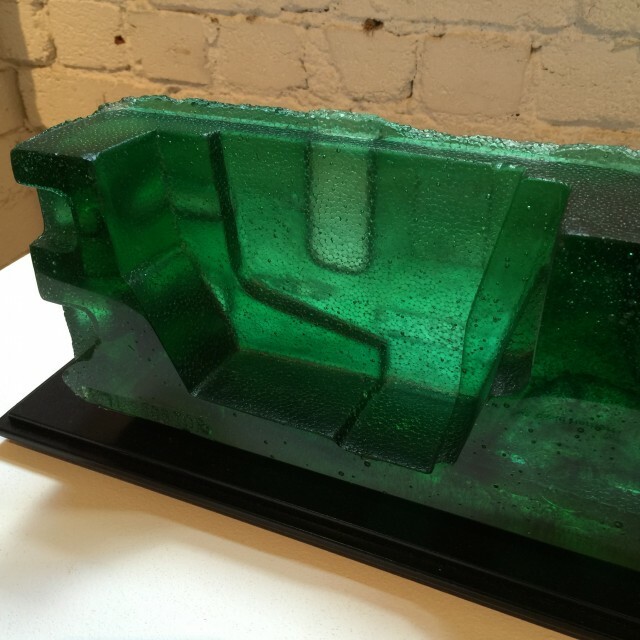 I love Amanda Dziedzic glass works. 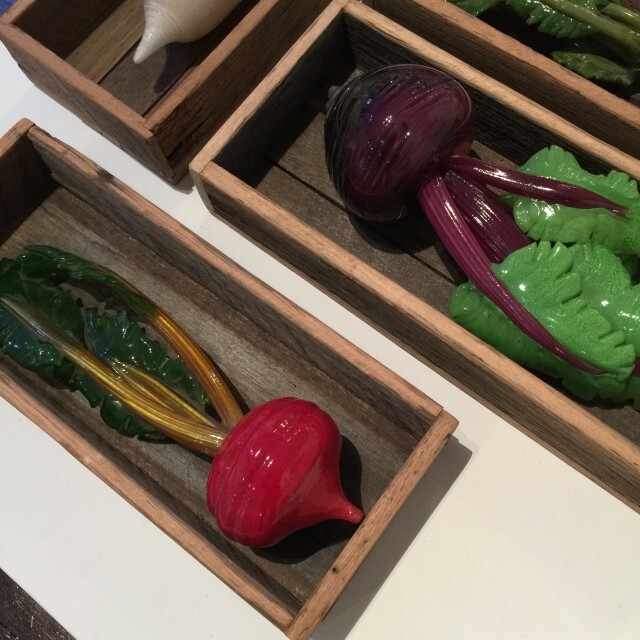 In this series entitled A Bumper Crop, she experimented with hot sculpted glass. A stunning realisation. 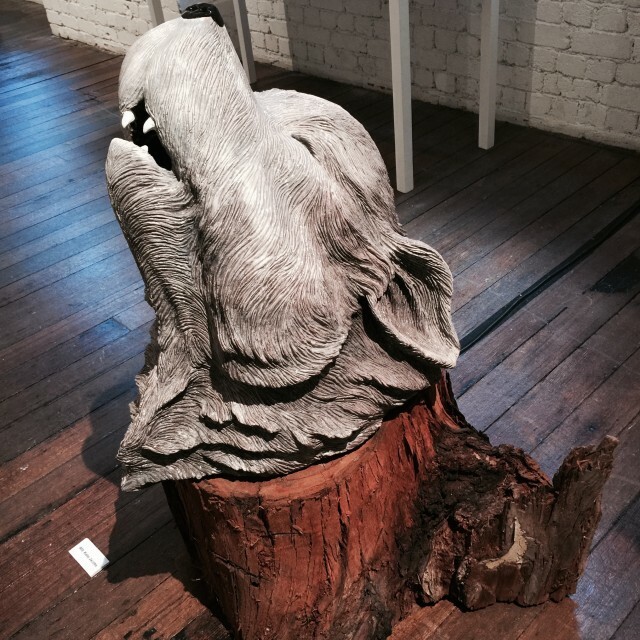 Katie Jacobs‘s Wolf Head is a ceramic / sculpture / installation in the sense that there’s a sound coming out of the wolf’s mouth. Yet, it’s not a howling cry but the roaring of the crowd during an American Football tailgating event. 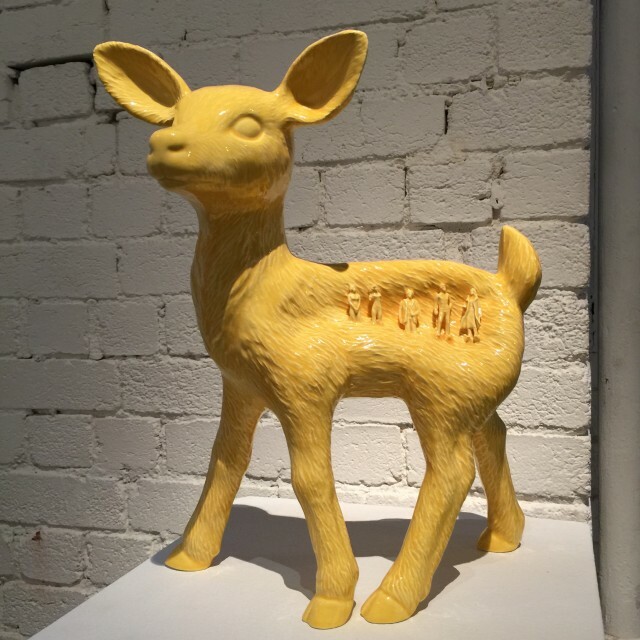 The artist wanted to “create an analogy between animals howling to locate themselves or communicate with others and humans expressing pleasure through their communication with each other.” Beside the beauty of the ceramic work, the discrepancy between the sounds of joy you hear and the sound of loneliness you expect makes this piece all the more interesting. Irianna Kanellopoulou‘s Wild Things II tackles the relationships between the animal and human beings. She crafts pieces with beautiful and intricate details. Kim Jaeger is known for her Pot Heads. This one is entitled Always around. 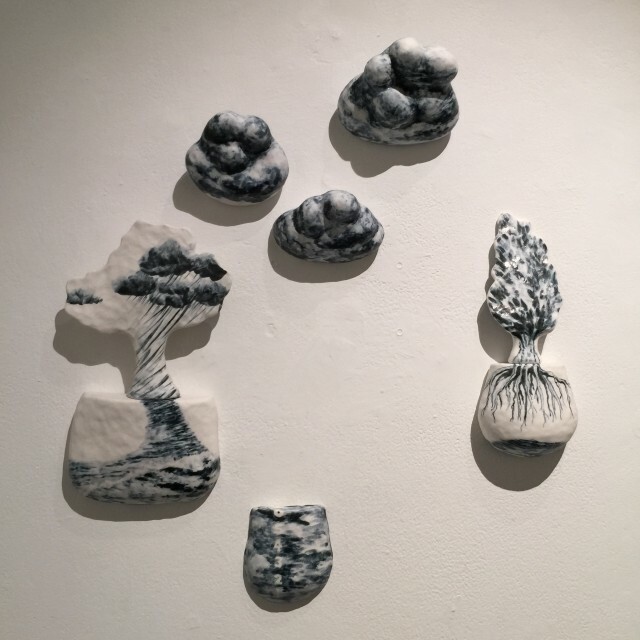 The artist says to be “interested in why people live with certain objects in their domestic space and the emotional connections they have with them”. 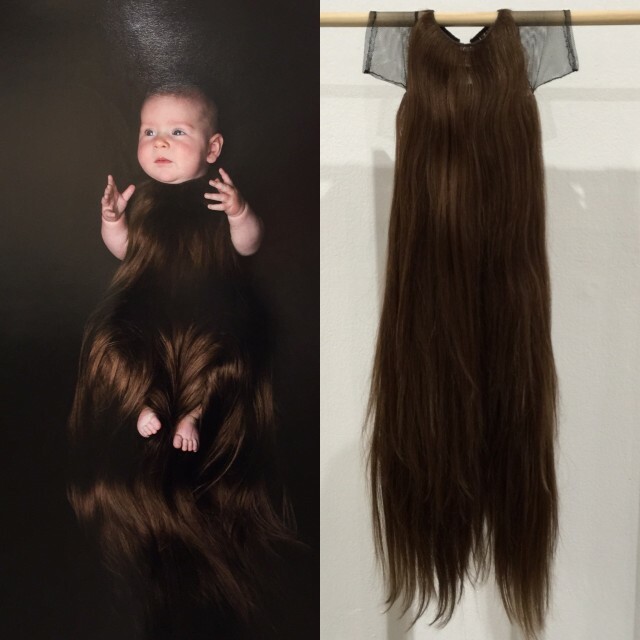 The two pieces here above, Baggage and Hirsute, come from her series Smother where Tiffany Parbs explores the myths around motherhood and how it is seen in the media. This is what the artist has to say about this. 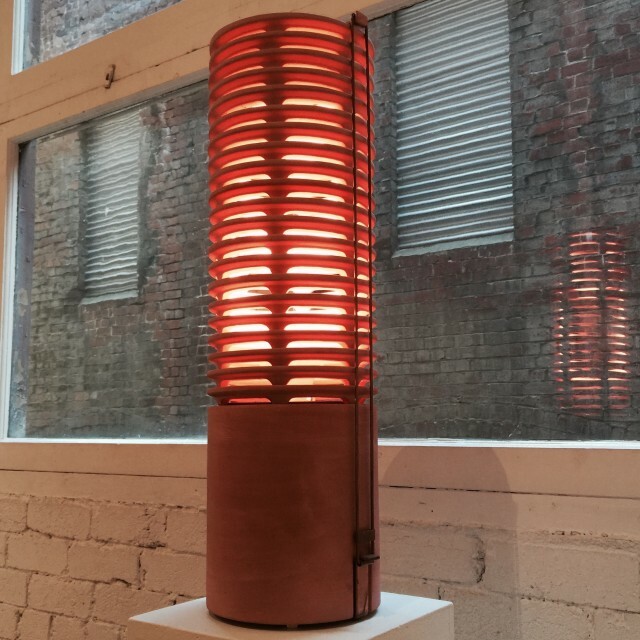 Simon Lloyd‘s Ceramic Light is made of Terracota and Copper. It was part of a sustainable lighting exhibition.